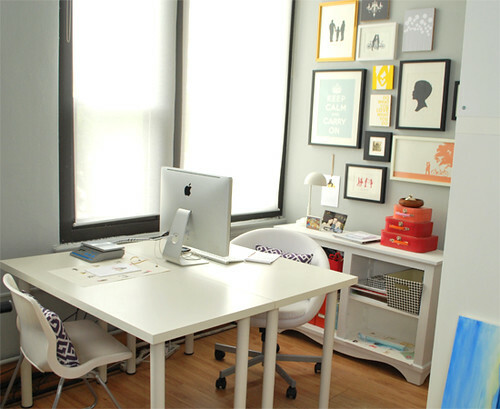 I'm completely in LOVE with Vana's new studio over at Le Papier Studio. 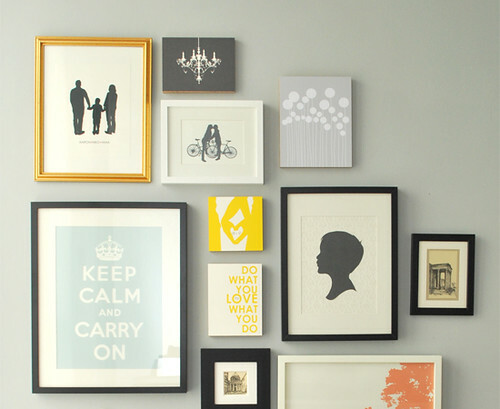 It's so beautifully organized, and has such a great color palette. I'm always in search of the perfect gray paint, Vana used "Heavy Goose" by Martha Stewart. I might just have to steal it for my guest room. Click here for even more photos at Vana's blog. This is lovely. I will envy right along with you. Wow! What a beautiful and inspiring room. I love all the clean lines and sleek storage. thank you thank you for the sweet mention:) I am so glad you love that gray too. so beautiful, and lovely light! Just, lol to "Heavy Goose". awesome name. I love those pictures, I want you and Michelle to do a whole wall collection for me someday. thanks for featuring this paint color...love martha stewart heavy goose! 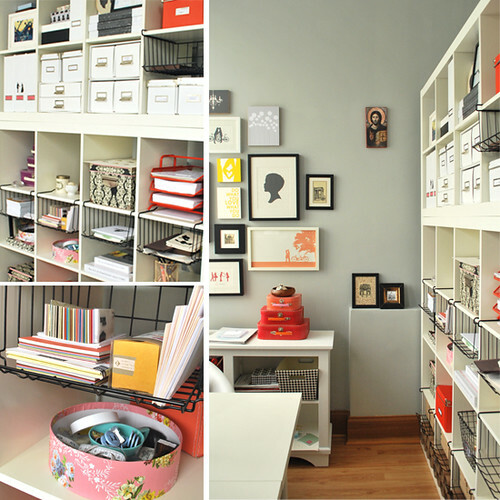 love this office too...great inspiration!